Communications experts praise Coca-Cola’s recent response to criticisms as an example of first-class corporate crisis management. Specifically, they point to The Wall Street Journal op-ed by Coca-Cola CEO Muhtar Kent. Corporations under fire can look to Kent’s op-ed for guidance when responding to attacks and considering apologies. Kent outlines the company’s response and admits the company’s misstep while not exactly apologizing in his op-ed, Coca-Cola: We’ll Do Better. In a matter-of-fact tone, Kent takes the accusations head on, acknowledging the accusations that it has deceived the public about its support for scientific research. He defends the company by saying it is attempting to tackle the global obesity epidemic and has always had good intentions. Kent also admits the company’s strategy “is not working.” “I am disappointed that some actions we have taken to fund scientific research and health and well-being programs have served only to create more confusion and mistrust,” he writes. He explains how the company will act going forward. First, he says it will act with even more transparency. The company will publish a list of health and well-being partnerships and research activities it has funded in the past five years on its website and will update the list every six months. The company will continue its efforts to provide healthy options, he says, such as waters, lower-calorie and lower-sugar drinks, diet soda and zero-calorie drinks. At the same time, he inserts a sales plug by referring to Coca-Cola’s wide range of beverage options. Own up to it. Assuming responsibility at some level usually helps the corporate reputation over the long run. Get the CEO Out front. The CEO is the best spokesperson for the corporation. Most PR disasters happen when companies shield the CEO, or the CEO appears to have little interest in the problem. Make an Outsized response. Overaction is preferable to small measures or ignoring the critics. Kent directs the president of Coca-Cola North America to create an oversight committee of independent experts to provide governance on company investments in academic research, and engage experts to explore opportunities for research and health initiatives. Braykovich says he gives Kent an A for using the three O’s. Bottom Line: Coca-Cola’s response to accusations that it financed a front group to protect its interests at the expense of public health is a case study in PR crisis management. 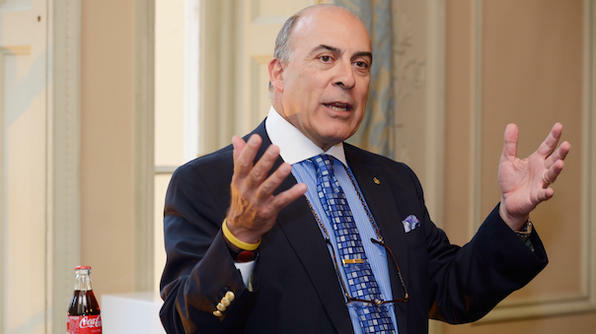 The op-ed by Coca-Cola CEO Muhtar Kent epitomizes a corporate response that contains the essential elements of effective corporate PR crisis management. In a July 6 column for Forbes.com, I analyzed Chipotle’s handling of its food contamination crisis within the context of a classic case study in crisis communications: Johnson & Johnson’s exemplary management of the 1980’s Tylenol tampering case. Chipotle has some way to go before it is out of the woods; nevertheless, it has pursued a smart strategy, committed itself to transparency, and taken a number of constructive steps to restore its trust and credibility with customers, regulators, and stakeholders. There’s another corporate crisis case study that, in my view, has become something of a “lost classic,” as the radio d.j.’s say. Cadbury’s 2003-2004 handling of its product contamination crisis in India merits careful study from crisis counselors. The crisis erupted after certain Cadbury chocolate bars were discovered to be infested with worms. The Indian equivalent of the FDA quickly seized the chocolate stock at Cadbury’s manufacturing plant as evidence for its high-profile investigation. Cadbury’s sales in India plummeted by nearly 30 percent in the wake of adverse media coverage. Even while the company was under siege, Cadbury made itself accountable as it conveyed empathy to the victims and launched a comprehensive education initiative covering nearly 200,000 of its retailers around the world. Initially the company’s response may have been too passive. Once the matter escalated, however, Cadbury acted decisively. It immediately suspended its advertising campaign and focused its efforts on educating retailers on safety and hygiene. It kept the media updated through detailed press releases on the specific measures it was taking to correct its manufacturing and storage processes. It also overhauled the machinery and packaging processes of its most popular product lines. After the company’s infrastructure had been fixed, Cadbury resumed its aggressive advertising. At that point, the company’s relationship with the media had significantly improved; its new media campaign was well received by key constituencies. Within 60 days of the implementation of its new packaging processes, Cadbury’s sales had nearly reached pre-crisis levels. The company announced eight months after the incident that its consumer confidence metrics were back to normal. Today, Cadbury maintains its position as the top chocolate bar seller in the Indian marketplace. No institution or individual caught in the throes of a crisis emerges unscathed. Inevitably, mistakes get made and the brand takes a hit. The key is to learn from those mistakes and institute a regimen to ensure that they never get repeated. Cadbury and J&J did that brilliantly. Chipotle is positioned to do the same. Richard S. Levick, Esq. is Chairman and CEO of LEVICK, a global strategic communications and public affairs firm.